Ralphie Parker’s one wish this Christmas is for a Red Ryder BB Gun. His antics and adventures in the quest for the perfect gift make for one memorable holiday season. We all have holidays we remember as being extra special, maybe because of a beloved tradition or maybe because we gave or received the perfect gift. 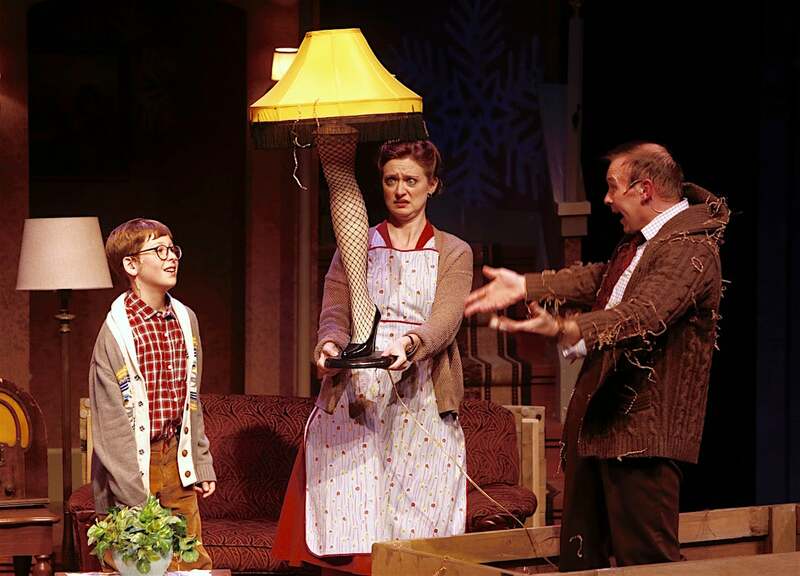 To pass on the holiday spirit, we asked some of our friends from A Christmas Story to share their favorite stories, traditions and memories with us. We’re glad you’re here today to make new memories with us. Have a wonderful holiday season! Every Thanksgiving we started the season with a viewing of It’s a Wonderful Life as my mother was busy cooking the feast. That movie always filled me with holiday cheer and it felt like my heart opened wide as Jimmy Stewart learned the lesson from his angel Clarence of what the world would be like without him. After dinner and the clean up afterwards, we would all bundle up for a walk out on the countryside. The night always had such a magical feeling of gratitude and wonder as the stars came out and smiled on our family and friends. Every year for Christmas my family and I make handmade gifts for each other, and it’s really fun to see what people come up with! We love to watch the beautifully animated film The Snowman by Raymond Briggs with my niece and nephews. My sisters and I watch Irving Berlin’s White Christmas, specifically to sing along to “Sisters, Sisters, there were never such devoted sisters!” Movies and gifts aside, nothing beats being together for a big Italian meal and good conversation. Stepping into this play every night is a dream come true for a guy who grew up with a good ol' Midwestern Christmas. In Michigan, once Halloween rolled around, it was never surprising to have already seen some snow. So, by the time Thanksgiving passed, it was getting dark by 5:00 pm and there were a couple feet of snow on the ground. There were many traditions that we had leading up to our great Christmas celebration every year. Our outdoor standards were skiing, sledding at a local park down the road and, and my personal favorite, playing ice hockey on a flooded lot at the end of my cul-de-sac. One year, we had the perfect mix of snow, rain, then more snow, which left a thick sheet of ice across the roads throughout my neighborhood. Not fun to drive on, but ice-skating to my friend’s house was a blast! The rest of December was spent helping my father put up the Christmas lights, shovel the driveway and go as a family to cut down and decorate a fresh Christmas Tree. My mom had Betty Crocker recipes for, what seemed like, hundreds of cookie that we would bake and of course, there was her famous fudge. Every day was an opportunity to eat another chocolate from my advent calendar as I anxiously counted down the days to Christmas. Finally, on Christmas Eve, my whole neighborhood would gather to help assemble and line the streets with paper luminaries. The rest of the evening followed with dinner out to a “fancy” restaurant, a candle lit church service, and Christmas cookies with a fire and “It’s A Wonderful Life” on in the background. Christmas morning always came sooner than later for my parents as they typically were up late prepping for the special day to come. There were stockings exchanged, gifts given, big breakfast and an even bigger formal dinner in the dining room.